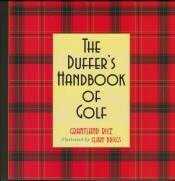 Renowned sportswriter Grantland Rice cobbles together a series of humorous essays originally published in 1926, at a time when golf took America by storm, and golf instruction was taking off. In many ways, this volume, augmented by famous cartoonist Clare Brigg’s witty cartoons, lampoons the golf craze, making it as fresh today as it was in the roaring twenties. 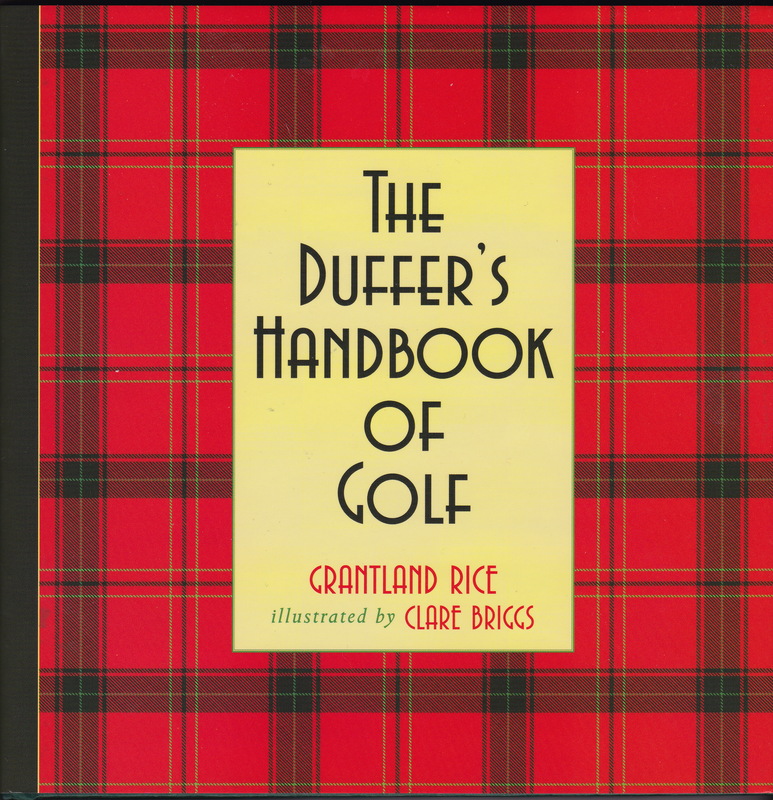 Rice assembles small essays, such as:”The Crafty Art of Slicing,” “How to Make a Hole in 9” and “The Golf Ball’s Revenge.” But, in his teaching on how not to play the game, Rice knowingly imparts the game’s basic fundamentals, which he knew well through his own playing and his friendships with some of golf’s Golden Era’s most esteemed players, such as Bobby Jones and Walter Hagan. Grantland Rice (1880-1954), famous for his musings and sports stories in the New York Herald Tribune, was arguably the best-loved sports writer of the 20th century. He ultimately established himself nationally in New York at the Herald Tribune. Rice was famous for his literary flourishes, and some of his writing has survived as classic American idioms. “It’s not whether you win or lose, but how you play the game” was coined by Rice. Clare Briggs (1875-1930), one of America’ most important and popular cartoonists, produced cartoons for the St. Louis Chronicle, the New York Journal and ultimately to Chicago, where he created “A. Piker Clerk”, which garnered Briggs national notoriety. In New York he created numerous titles, including When a Feller Needs a Friend, There’s at Least One in Every Office and Danny Dreamer.